DESCRIPTION Inviting & spacious 2 bedroom, 2 bathroom condo overlooking a park located in the heart of Kensington, offering an open plan with 964 sq ft of living space & an abundance of natural light. The main living area presents cork flooring, living room with access to the balcony, dining area & kitchen finished with granite counter tops, island/eating bar, plenty of storage space, built-in computer desk & stainless steel appliance package. The master bedroom includes a walk-in closet & private 4 piece ensuite with dual sinks & walk-in shower. The second bedroom is ideal for a home office or guest bedroom. Further features include in-suite laundry, 1 titled heated underground parking stall, an assigned storage locker, a bike storage room & fitness center. 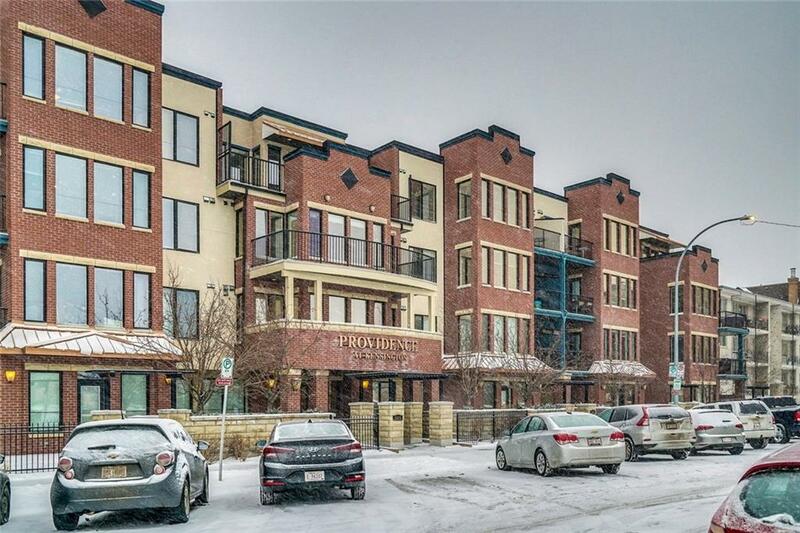 Don’t forget the ideal location just steps to vibrant Kensington shops & restaurants, Bow River pathways, schools, public transit & an easy walk to the downtown core. The board is looking into a complete painting of the common areas.